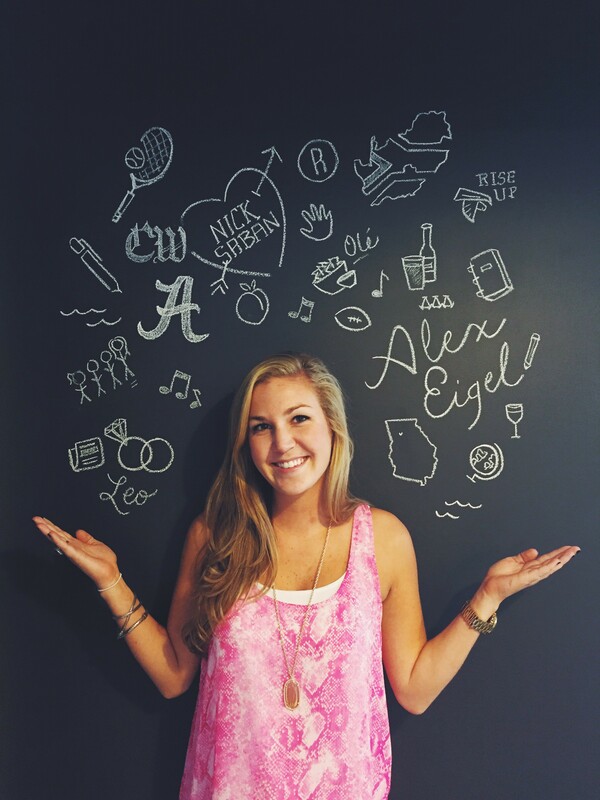 Meet Alex Eigel. Our newest member to the account team here at Resource. She just graduated from University of Alabama. Born and raised in Atlanta, Georgia! What did you study at the University of Alabama? Did you participate in school activities? I wrote for Alabama’s school paper, The Crimson White, and later at The Tuscaloosa News. It depends where I am and what I’m doing. Both?! After your first week at Resource what were you most excited about? Getting to know the team and learning new things. I have tiny hands, like noticeably small – like the guy on the Burger King commercial. My 10-year old sister’s hands are bigger than mine. Going to concerts, football games or visiting Sweetwater Brewery. What is your strangest phobia? I’m super scared of heights, even if I’m only 1 floor up. I somehow managed to do the highest bungee in the world, though. Does your toilet paper hang under or over? Over, but does that define me?! I lived in Cape Town, South Africa for a summer and it was hands down the coolest, most unique place I’ve ever been. You know Andi Mints, aka #internandi. She has been our summer Design Intern. She just finished her final quarter at the Creative Circus and her final day with Resource. This isn’t goodbye, it’s see you later! Follow #andisgrandadventure on instagram and twitter to see where she goes and who she meets on her trip. Feel free to connect with her along the way—especially if you have a couch she could crash on! 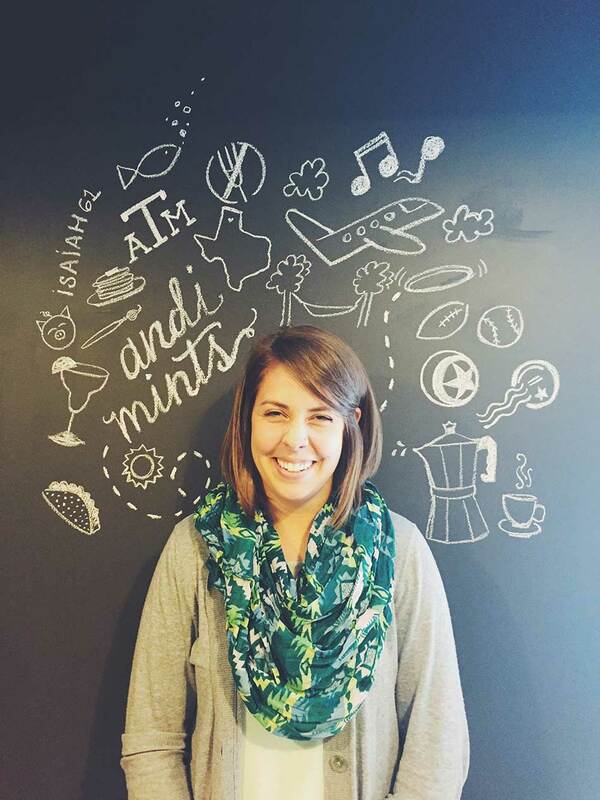 Read below to learn a little about her experience as an intern at Resource and check out www.andimints.com for her awesome work! Illustrator. But i’ve learned to love indesign here. I love that its a small shop. Everyones ideas are heard and considered. Opportunities to work on all the fun things abound (mostly out of necessity) even for the intern. Most important thing you learned about Design? Layer comps are your best friend. Layer masks really aren’t that scary. Master pages will save you from yourself. And when in doubt, put some more white space in. Most important thing you learned about working in the “real world”? Its really not all that scary! Its just like school only with more rules and real clients with actual deadlines and real money and you better not screw it up. What time is Beer Thirty? All the time. Although, I’ll have a glass of wine please. If you could take one thing from the Resource office, what would it be? That’s a tough one. We did just paint the wall in the kitchen with tinted chalkboard paint. I’d love to have that. OR that really sweet cutting table in the back. Or wait, no, I want the gold unicorn head in the hallway. Alright no, I’ll take that dollar that’s pinned to Kristie’s wall and go grab a Reese’s from downstairs. My first day. Kristie came in late, having just come from the DMV getting her Georgia plates. (and if you’ve ever had the misfortune of going to the Georgia DMV then you will understand the fury I’m about to describe.) I’m sitting with Kelly and she’s showing me the file share system and other things when all Hell-fire came in, flipping over tables, smashing computers, screaming about how those morons don’t know what they’re doing and some other something or other. Anyway, to say the least I was terrified. Kelly tried calming me down but it was no use, I was already in tears. Bryan started yelling at Kristie. It was a disaster. Anyway, this story is only mostly true and Kristie and I are great friends now. But it did become the office joke of the summer of which I loved bringing up any time I could. Where are you off to now that you have graduated? I’m off on a cross-country road trip to meet cool design people and find a j-o-b. I’ll stop when something sticks! I’m learning to enjoy this in-between time of rest before I hit the ground running in my next (hopefully not-so-distant) future job. If you know of any places/people I absolutely must stop to visit, give me a shout. What are some goals you have for your future as a designer? I’d like to see a lot. By that I mean I’d like to work in different places, big or small, on a variety of brands with lots of different people with different specialities to make lots of different things and use different styles. I’ve learned to love change and know that I learn the most when I’m uncomfortable—out there on the edge of me. And I don’t yet know where I want to park my RV just yet so I want to get out there and do it all and figure out what sticks. Advice for the next Resource Intern?